January was definitely a hard month for me as far as writing. I didn’t reach some of the goals I set for myself but that is okay. It was hard to get motivated each day to write there were some days I didn’t write anything at all but would get good word counts the next day or the day after. I got frustrated with myself. I finally had to take a break and regroup and toward the end of the month numbers started picking up and I have the first few chapters and outline of a new series started. Maybe changing things and writing about something new helped to give me the motivation I needed. I realized I had added too much stress on myself to meet daily goals that just weren’t being achieved. I think when I did that it stopped being a great thing I loved to do everyday and started being a chore that I didn’t want to do. Once I sat down and changed the daily and monthly goals around I was able to write. February is a new month and a time for new goals. I plan to try and meet those goals this month. I have made a promise to myself for February. I will not let myself get frustrated if there are days where I don’t meet goals I have set for that day. Things happen that are out of your control and when that happens you have to go with the flow. My advice for writers this month is to have fun with what you are writing. Don’t let little things stress you out. If you need to take a break for a bit then come back to it. Your character’s world will be there waiting for you when you are ready to dive into it again. Goal for February. More fun!! I like it. Hi Diane, I can identify with this! So many times I get frustrated with myself for not meeting goals when really, I should accept the fact that 1. I’m not perfect, and 2. sometimes the story needs time to breathe so that you can go back to it later with fresh eyes. There is nothing wrong with giving your story a break and coming back to it reinvigorated. We are hard on ourselves sometimes, but writing a novel is hard. We should also learn to give ourselves a break! Halfway through NaNoWriMo it starts to feel like the worst job in the world and you think of a million and two things you don’t even like doing that suddenly seem important (I can’t write, I’ve got to degrease the oven hood). For me I’ve found I have to trick my brain. I tell myself periodically, “You can’t write this week. This is a week for getting chores and all the junk done that you neglect.” The more I’m not supposed to write, the more inspiration I get and the more my body tries to plant inself in the computer chair. Maybe I’m just contrary but it’s a great motivator. I know what you mean. I start NaNoWriMo and by the time I get to the middle of the month I feel like just doing something else instead but I make myself see it through to the end. The way I get over it is to meet up with friends who are writers and do a write in. That helps me a lot. Hi, I am visiting via the IWSG. I always fall off of my goals in December and January and feel so stressed to get back on track in February. I’m not there yet, but feeling good about a big finish! Hi, thanks for stopping by. I have learned that over the last few months. I took part in NaNo last year for the first time and stressed myself out trying to get to the 50,000 word goal. I didn’t look at the stuff I wrote again until January. I am finding that I have to set a time for writing and make is a part of a daily routine. That doesn’t work for everyone but it seems to be helping me right now. I completely empathize with the feeling of no matter how much you want to write you find yourself struggling. It’s good to see you found a way to work around it. Too much pressure is never good so if going a bit easier on yourself lets the creativity flow then that is the right direction for you. When you don’t hit a goal, don’t stress. Just reset it for the next day. Hope you get into your stride in February. I’m also failing at all my goals so far this year, but you’re right; enjoying it is way more important! Welcome to IWSG. I think this is great advice. Having too huge a mountain to climb, really slows us down. Turning it into smaller hills to amble over, well, that seems doable, Have a great February! Hi Rebecca, Thanks. I totally agree with you about turning things into smaller doable goals it makes for having a better time doing what you love to do. Have a great day! I find it easier to visit WordPress blogs through facebook. 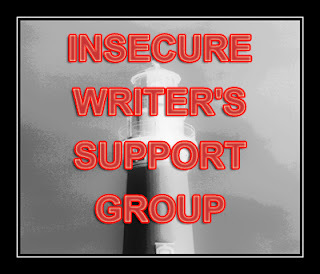 My blog is http://cfitewrite.blogspot.com I’m hopping over from Alex’s IWSG list, and wanted to wish you a warm welcome!! Goals, especially daily are tough for me. I try to set my goals, not by word count, but by time. It seems a bit easier for me that way. Nice to meet you!